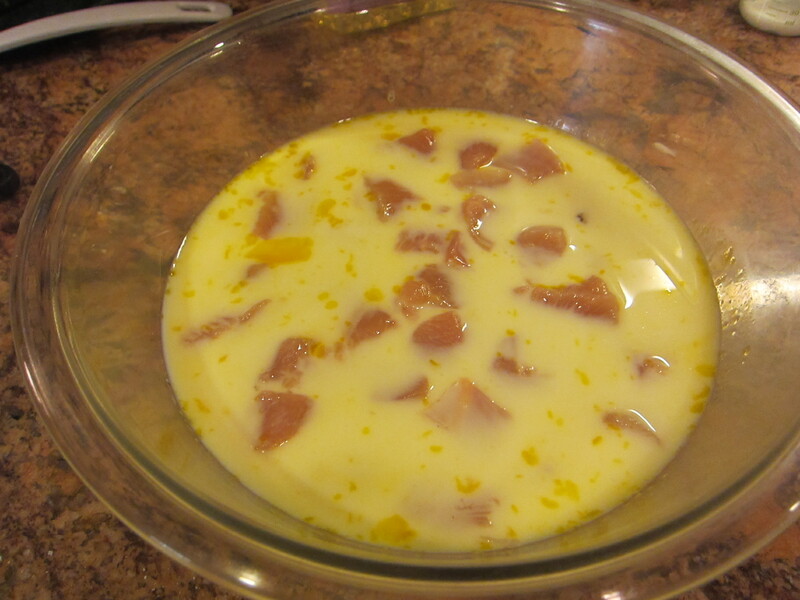 Anyway, on to the nuggets- cut up two boneless, skinless chicken breasts into bite-size pieces; “marinate” in a mix of one egg and one cup of milk for 2-4 hrs, to soften the chicken. 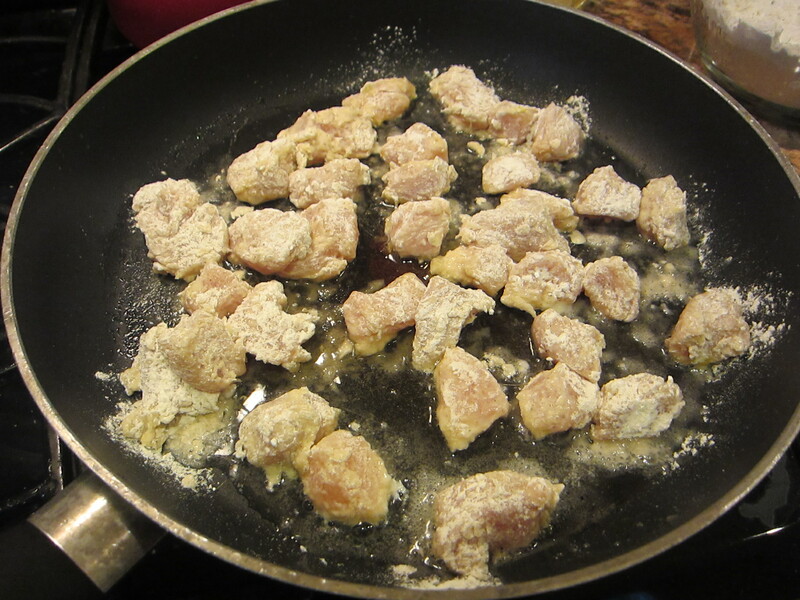 Then, dredge the chicken pieces in a mix of flour, powdered sugar, salt, and pepper, and fry in…2″ of peanut oil. 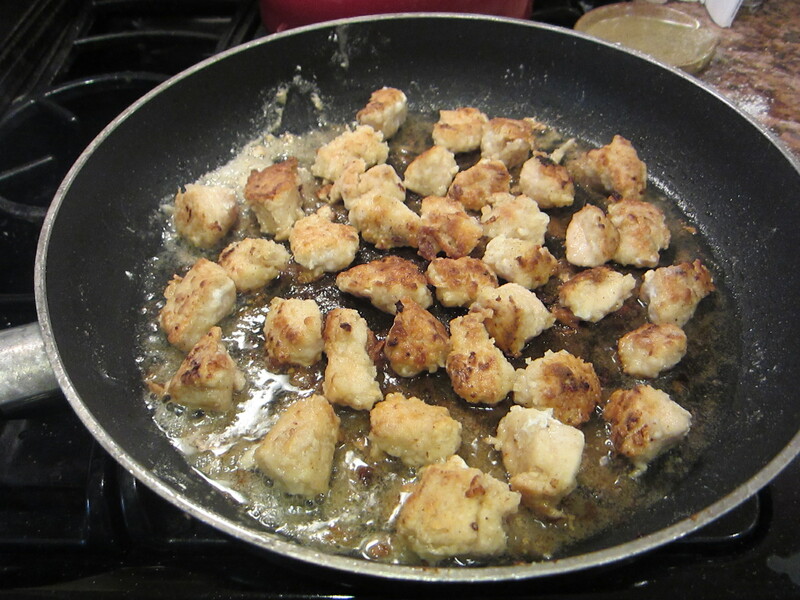 I didn’t do this- I really don’t ever wanna deep fry things for the kids, so I just poured some peanut oil in the pan, and fake-fried the nuggets that way. 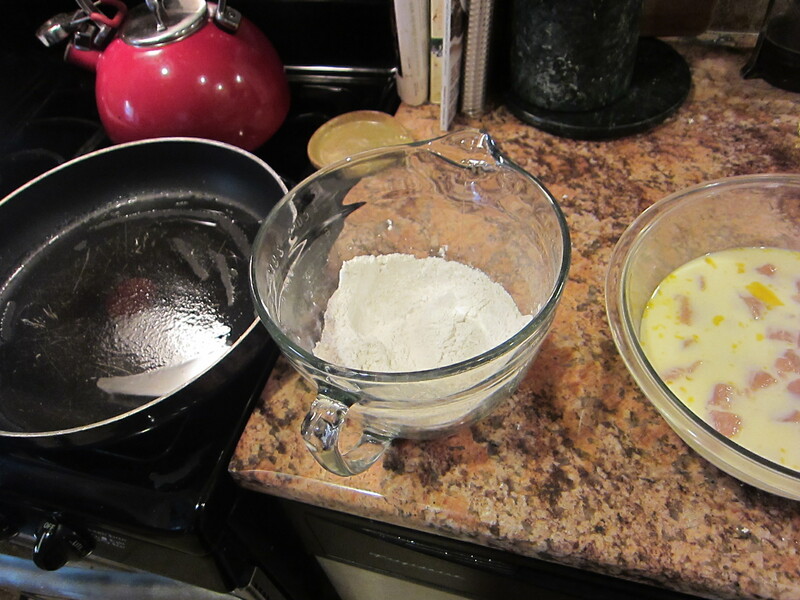 I made our nuggets in two batches, and learned to use tongs to turn them only occasionally after the first batch lost most of their breading due to too much flipping w/a spatula. Anyway, these were really good, and E and I ate way too many. They really did taste similar to Chick-fil-As, and I’m guessing it’s the powdered sugar- sounded weird to add to the breading mix, but that was totally the key ingredient. 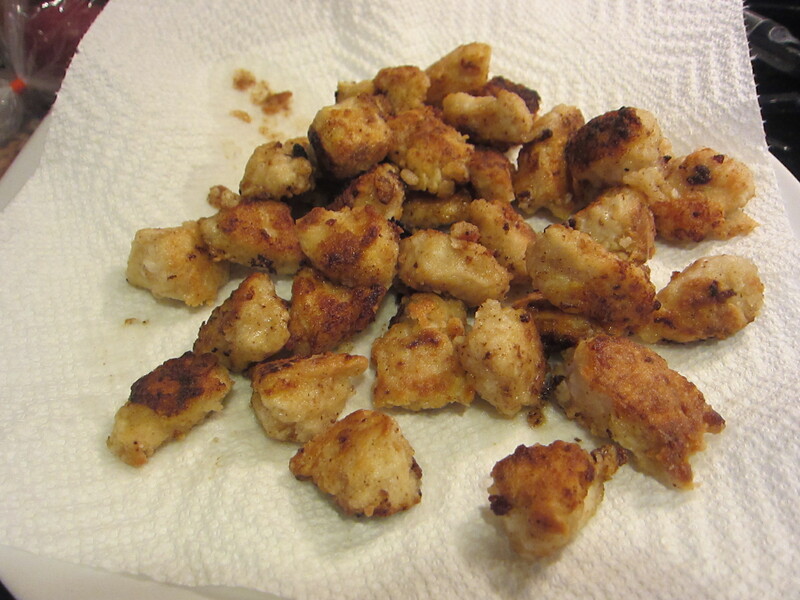 The kids, however, choked them down (just barely), and said that Chick-fil-A had better ones. Can’t please everyone, I guess- even if you were trying to! 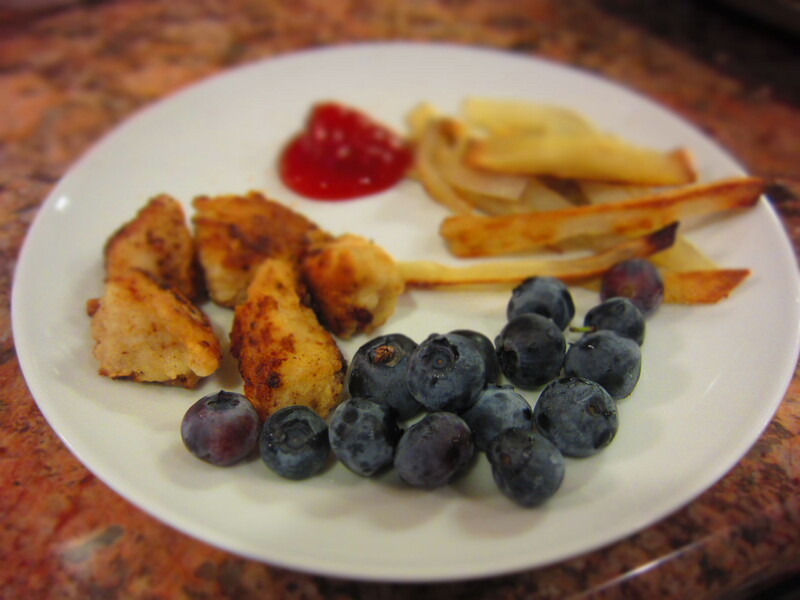 Still, if you have normal eaters in your house and not super-picky little people, you should definitely make these!